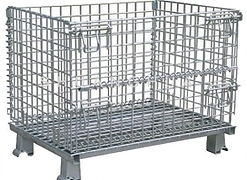 the ideal choice for better bulk material handling. 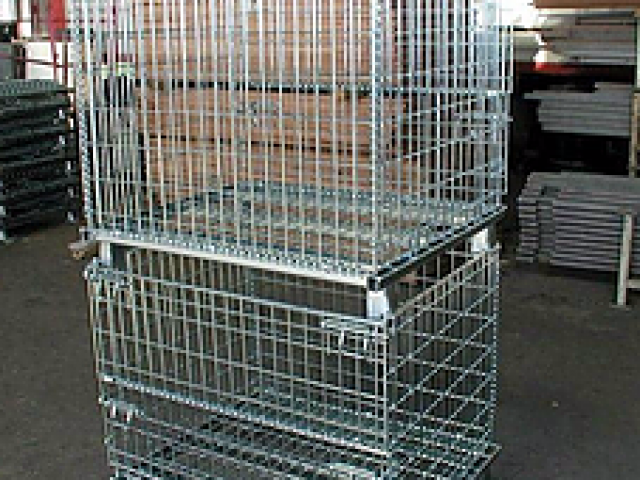 Why Choose Post Galvanized Pallet Containers instead of Pre-galvanized one? 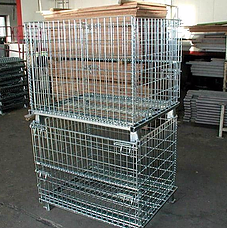 Post-galvanized wire mesh pallet containers are made of galvanized after welding wire mesh panels for a lifetime of rust resistance. 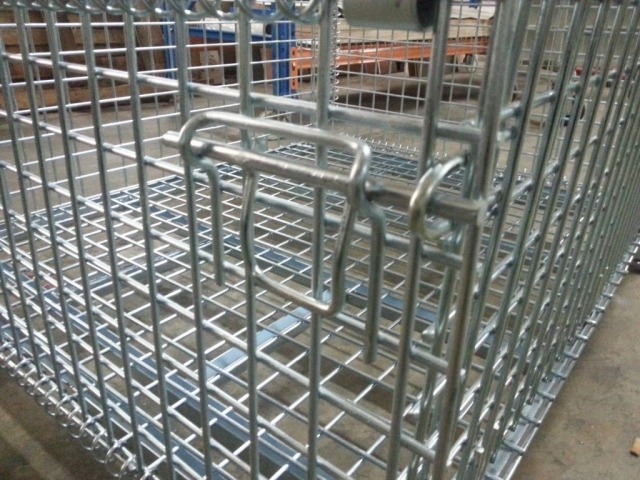 Xiaoye never supplies pre-galvanized wire containers though it costs less. 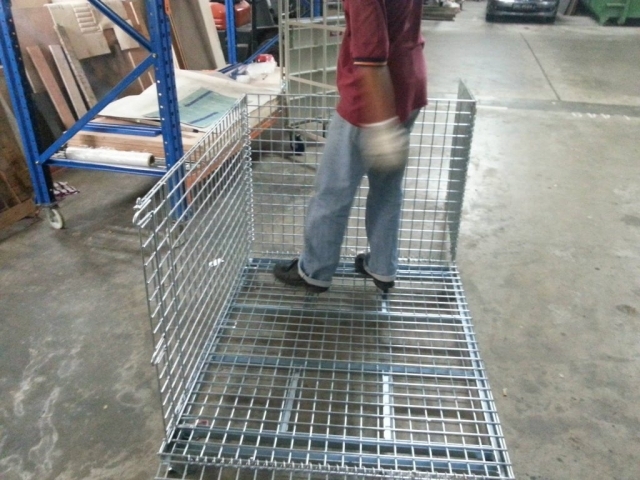 Because the welding spots of pre-galvanized wire containers will get rusty with moisture or high humidity. As a result, the containers will lose the structural stability. 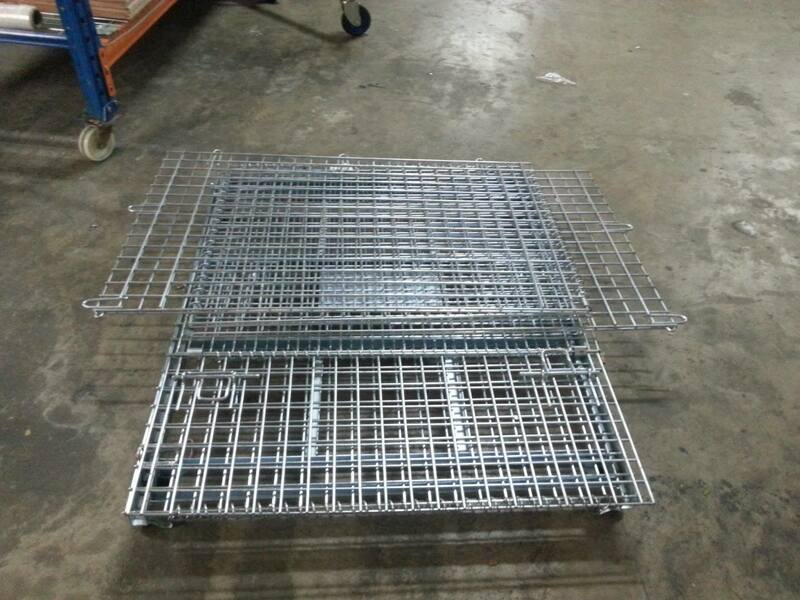 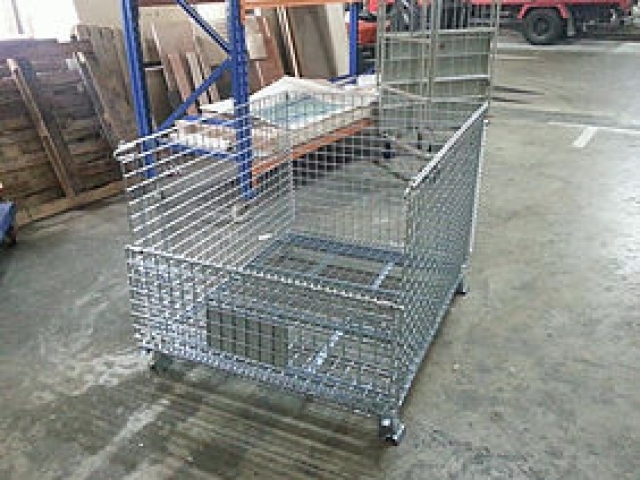 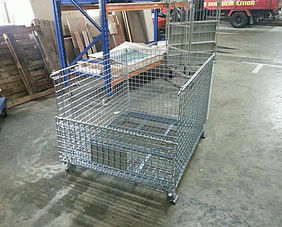 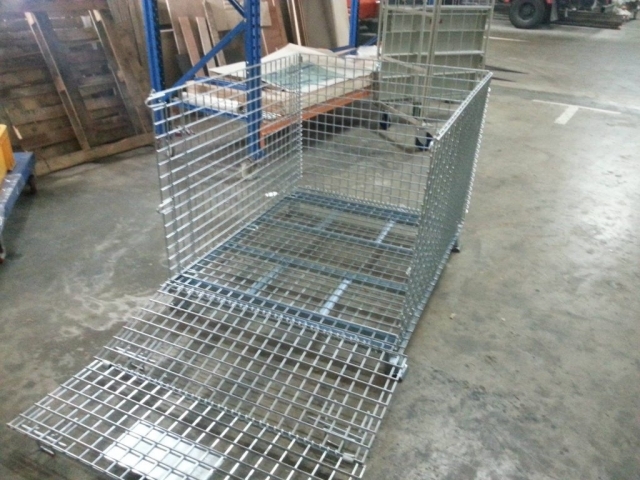 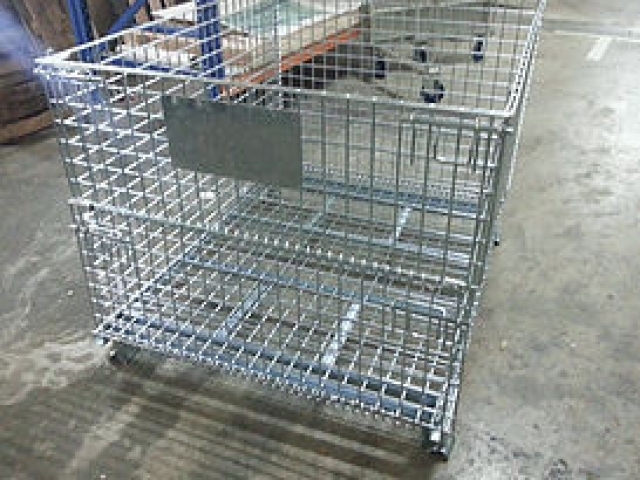 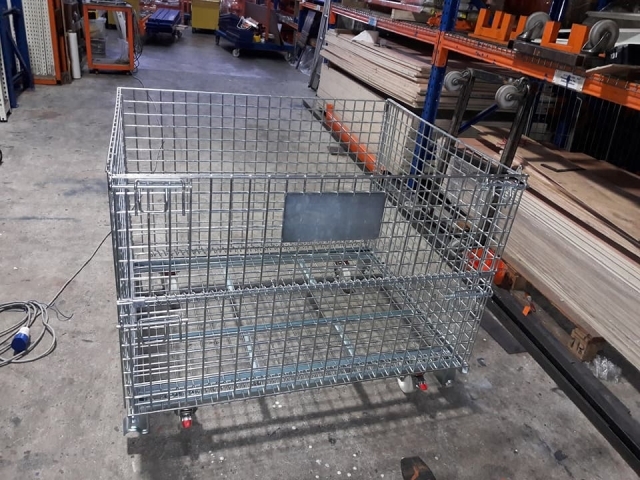 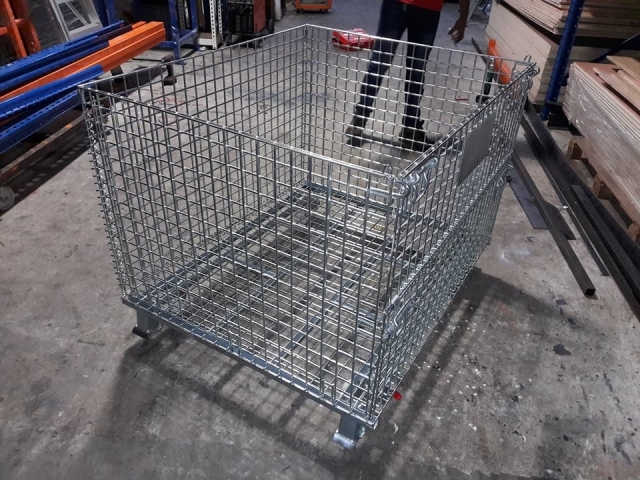 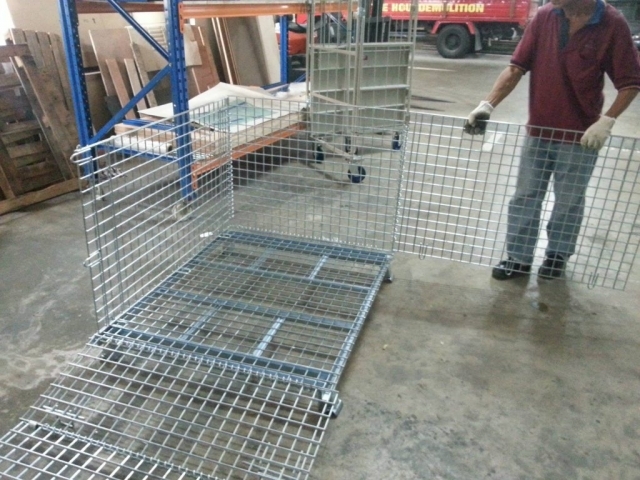 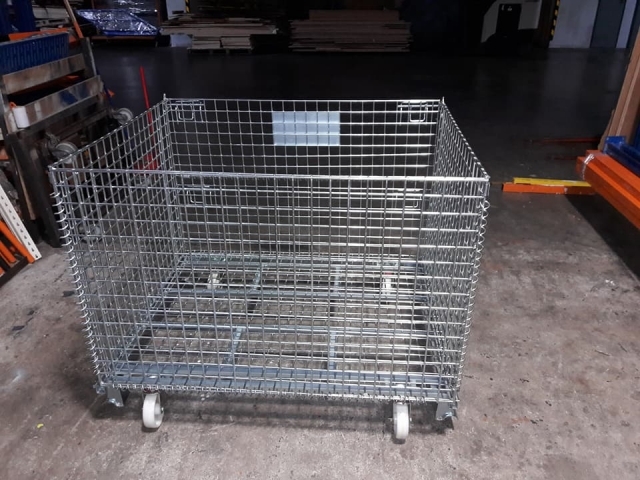 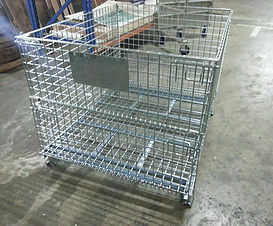 Foldable pallet wire baskets or cage containers make handling, transporting and storing bulk partsand materials easy. They are reusable containing systems that deliver high visibility savings. 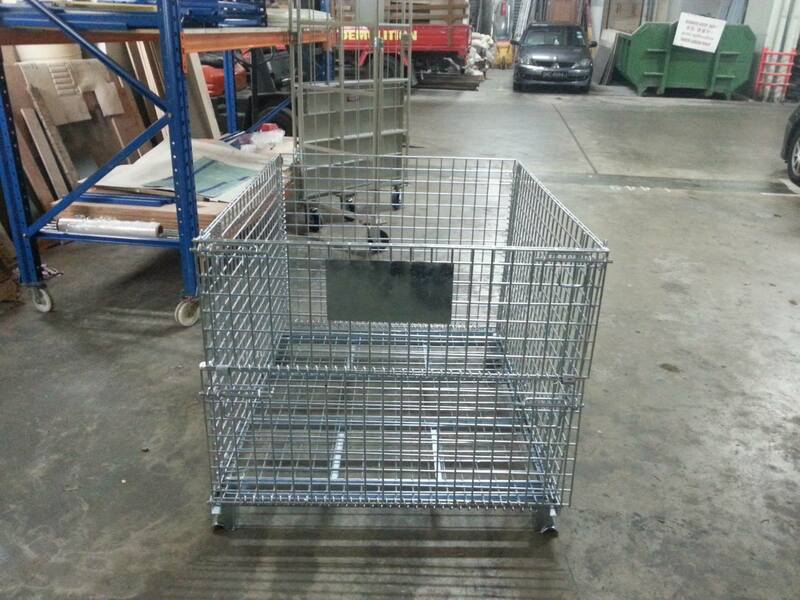 These tough, welded wire containers provide quick content identification, promote better material flow, and more efficient stock control. 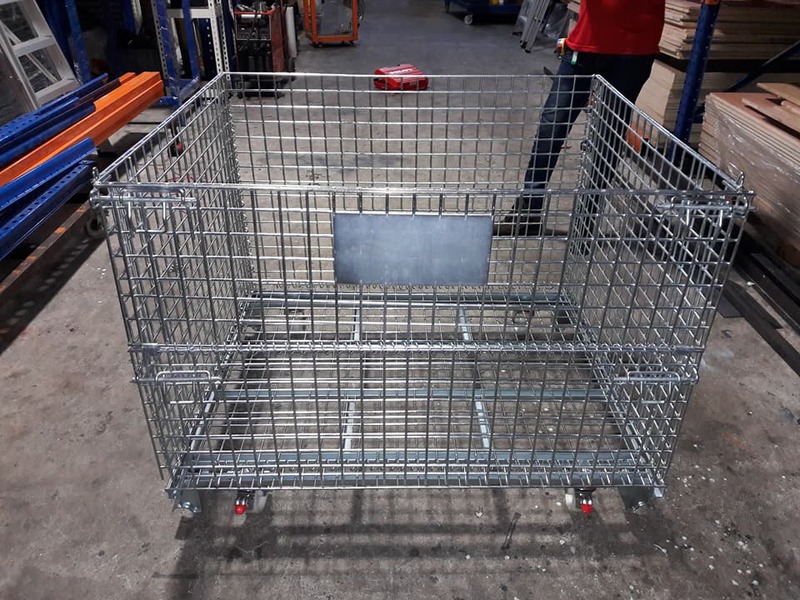 Specifications: Pallet cages and containers can be described by its loading capacity, bulk measurement, cage dimensions (length, width and height), cage or containers legs height, wire diameter and mesh size.